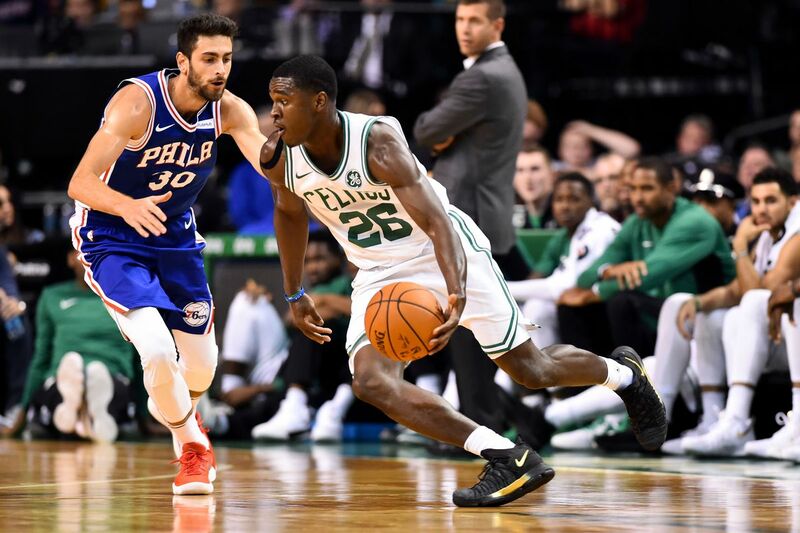 Is Jabari Bird too expensive for Boston to retain? Does Boston have the financial flexibility to retain Jabari Bird? The Boston Celtics roster is basically all but set for the 2018-19 season. The Celtics have 15 players under contract (not including two-way deals) following Marcus Smart's re-signing earlier today. However, Abdel Nader is guaranteed just 450K if he is waived on or before August 1. That could bode well for Boston if they want another player to bolster their bench. And they just might. Second-year guard Jabari Bird was arguably the most impressive Celtic on the floor during the Las Vegas summer league. Bird averaged a team-high 16.8 points, 6 rebounds, 3 assists, and 1.8 steals over 29.8 minutes per game in four appearances. He was nothing short of spectacular. Backdoor cuts to the basket from the corner, athletic finishes at the rim, and an improving shot from deep were just a few of the many skills Bird showed off. He also was solid defensively and forced his fair share of turnovers leading to fast break points on the other end. Bird was happy with his performance and he should be. He proved that he's worth more than a two-way contract with his play this summer. "I think I made a statement, and it should elevate me from a two-way player to potentially a full-time roster guy," Bird said according to the Boston Herald's Mark Murphy. "We'll see. Either way I had fun out here." This creates a potential predicament for the Celtics. Bird is currently a restricted free agent but another team could swoop in with an offer that could push Boston farther into the luxury tax and it would make sense for them to be resistant to that type of deal. The Celtics had a chance to avoid the luxury tax but they instead chose to give Smart $52 million over four years to honor what he's done for the franchise. According to salary cap expert Ryan Bernardoni, Boston is currently north of $3 million over the luxury tax. The luxury tax rises based on a number of factors. But right now Boston will be paying $1.50 for every dollar they are over the tax. Eventually, the repeater tax comes into play, but that's a beast for a different day. The Celtics options are limited if they don't want to dwell too far into the luxury tax. They can offer Bird a minimum deal or a two-way contract, though the former Cal star has proven he's too valuable for the latter. The Sacramento Kings and Atlanta Hawks are two of the only teams left with enough cap space to make a compelling enough offer to lure Bird away from the Celtics. Though both teams have plenty of young guards that they're trying to develop which seems to make them unlikely destinations. Luckily for Boston, it sounds like Bird really wants to remain with the team. He's another low-cost, low-risk player that could turn into a steal for the Celtics one day. You can never have enough athletic and versatile talents on your roster. "My agent is doing this for me, and whatever happens, happens," Bird said on his free agency. "I look forward to hopefully being a Celtic next year, and my plan is to get back to Boston as soon as possible."